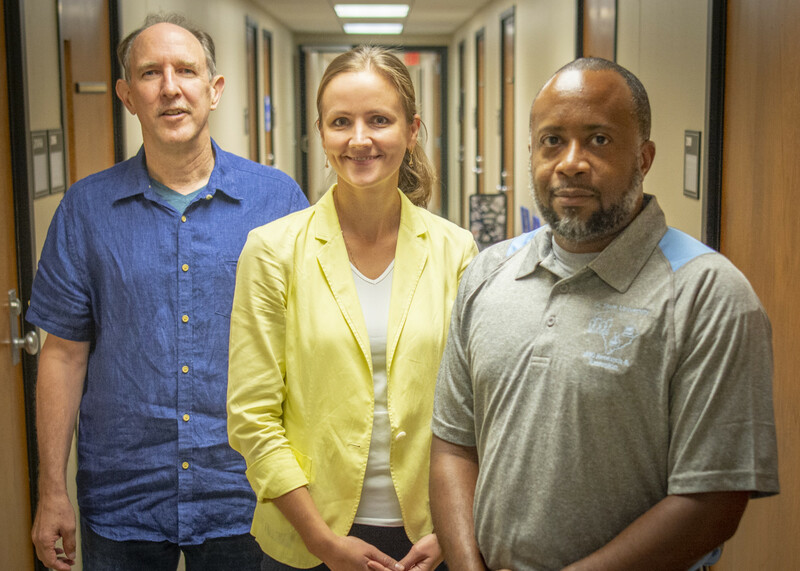 Mark Small, Natallia Sianko and Boyd Owens (left to right) are the architects of a program that will bring STEM education to at-risk youth in South Carolina. Clemson and South Carolina State University have received a five-year, $1.28 million grant from the U.S. Department of Agriculture to improve after-school programs for at-risk youth in rural South Carolina through the delivery of an evidence-based STEM curriculum. Additionally, students in third through eighth grades will be able to attend a technology summer camp designed to further cement STEM concepts. The rural locations for the program have been chosen based on poverty levels and the challenges facing the schools and surrounding neighborhoods. Clemson attracts graduate students from around the world for whom English isn’t their first language. Clemson’s Emeritus College Language Skills program was designed with these students in mind, consisting of the Clemson English-speaking proficiency test and the Conversations with International Students program. Emeritus faculty organize and refine these programs to provide international students the opportunity to fully participate in teaching assistantships and help improve their English communication skills. The Association of Retirement Organizations of Higher Education awarded the Emeritus College Language Skills program one of its inaugural Innovation Awards for 2018. Clemson is joining the Indian Institute of Technology Delhi to create the Center for Innovative Medical Devices and Sensors. The partnership will lead to new medical devices and startup companies while helping educate leaders and entrepreneurs for the global health care industry. Some of the students’ work will be on the main campus, and some will be in Greenville at the Clemson University Biomedical Engineering Innovation Campus. Some of the first projects will focus on solutions for diabetes and other chronic health issues common to both countries. The long-term vision for this collaboration includes exchanges of faculty members, students and postdoctoral researchers and eventually the establishment of joint courses.